You must have many nice ideas for upcoming Valentine’s Day, but if your girlfriend like those retro video games such as Super Mario Bros, maybe the 8-bit rose will capture her heart. This is pretty cool romantic gift for those pixel art lovers. 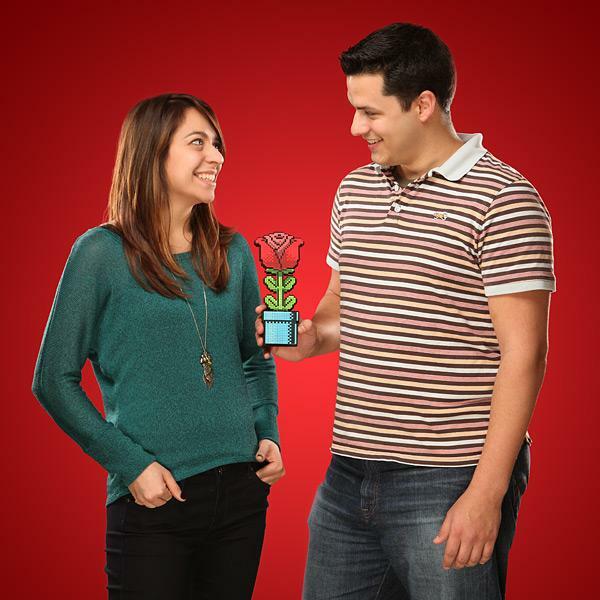 As we can see from images, the 8-bit rose looks a bit like Piranha Flower from Mushroom Kingdom, but the dangerous flower in the blue flowerpot has been replaced by the blooming red rose full of love in order to directly and starkly show your love to your girlfriend in a pixelated way, and the fold-out stand allows your girlfriend to display the pixel art on her desk. 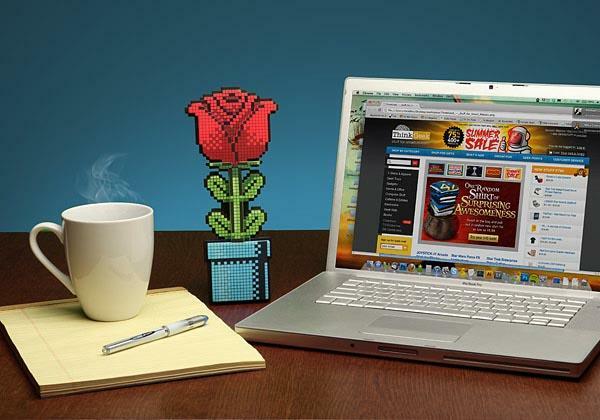 Apart from that, the 8-bit rose measures 9.5 x 4 inches and is made of durable EVA foam. 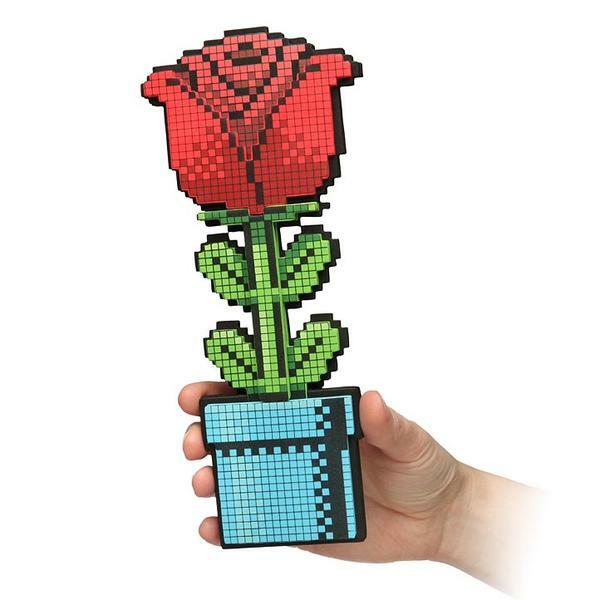 The 8-bit rose is priced at $14.99 USD. If you’re interested, jump to ThinkGeek for more details.